Swim scholarships are based on the US poverty guidelines and each individuals application process. 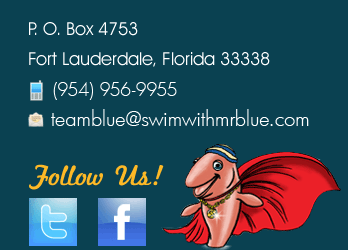 Super Swimmers Foundation is a 501 ©(3) non- profit organization dedicated to teaching children with Autism to swim. We feel that by using our Swim with Mr. Blue program we can help hundreds and hopefully thousands of children with autism learn to swim both safely and successfully. We are overjoyed at the amount of love and support we receive each and every day from families who are amazed at what their child with autism is able to accomplish in our Swim with Mr. Blue learn to swim program. We want children with autism to excel in every area of their development and one day we hope to have a Mr. Blue Super Center that will be a one stop service center with ABA therapy, OT, PT speech and language, support groups for parents and much more. Super Swimmers Foundation tries to meet families where they are at depending on their financial needs. We have the “Sammy the Salmon Scholarship program” that helps families who either cannot afford the swimming lessons or who need help paying for some of the costs. Eventually our goal is to provide totally “free” swim lessons for families who have children with autism; therefore improving their muscular development, speech, and confidence in a fun and loving environment. Your generous donation will help Mr Blue’s Crew get that much closer to their goal. We are overjoyed at the amount of love and support we receive each and every day from families who are amazed at what their child with autism is able to accomplish in our Swim with Mr. Blue learn to swim program. We want children with autism to excel in every area of their development and one day we hope to have a Mr. Blue Super Center that will be a one stop service center with ABA therapy, OT, PT speech and language, support groups for parents and much more. 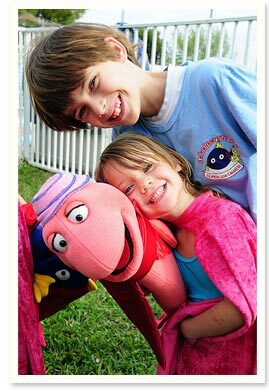 Super Swimmers Foundation tries to meet families where they are at depending on their financial needs. We have the “Sammy the Salmon Scholarship program” that helps families who either cannot afford the swimming lessons or who need help paying for some of the costs. Eventually our goal is to provide totally “free” swim lessons for families who have children with autism; therefore improving their muscular development, speech, and confidence in a fun and loving environment. Your generous donation will help Mr Blue’s Crew get that much closer to their goal. The number of swim scholarships with their amounts will be determined by how many funds are raised during a particular month or fiscal year. We will have to see what our budget will allow for based on the financial needs of the foundation from month to month and our business plan. The students that are given free swim lessons will be asked if they would their picture and their parent’s story of their experience posted on our web site or newsletter.